Hey everyone! I am back for a new post and it's a recipe this time (surprise!). I have been trying to drink less dairy lately and have been inspired to try new recipes without dairy. I, personally, like almond and soy milk better than regular milk. I've been watching a lot of vegan youtubers such as BonnyRebecca, NinaAndRanda, and Freelee; I thought it would be fun to make some vegan "ice cream". This consists of no dairy. All you need is fruit! 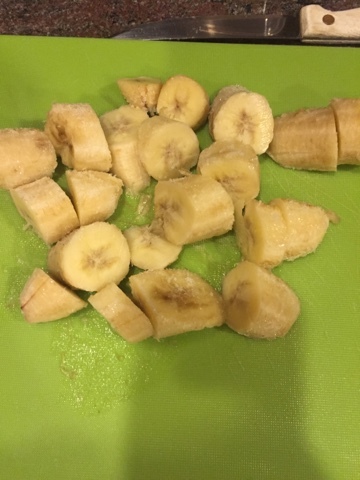 First: Freeze bananas for at least 24 hours. 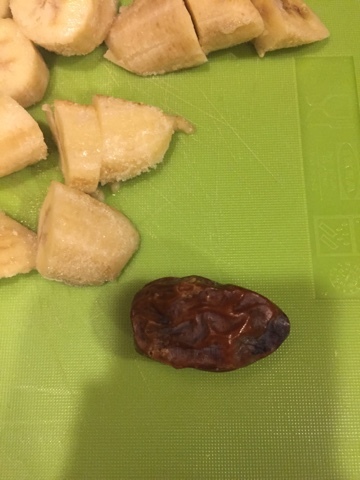 I used two bananas, but you can do as many bananas as you want. (The more bananas you use, the more filling it will be). 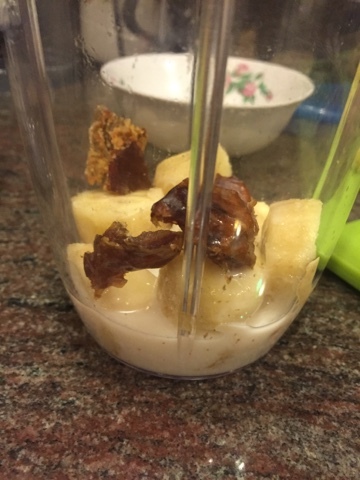 Third: Put half of everything into the blender. 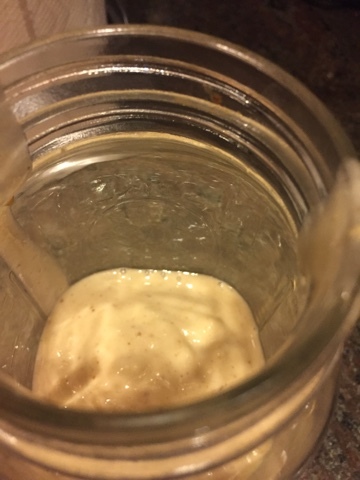 Until you get used to making nicecream, it's good to check halfway through if it is being made properly. Fourth: Put just enough of almond milk into your blender, so it will blend smoothly for the first half. 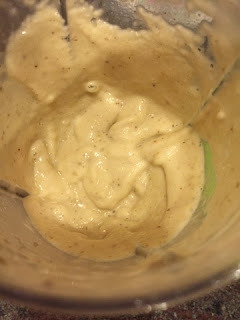 Fifth: Blend until it becomes "smoothie like" It should be a bit thicker because bananas and "milk" are in the nicecream. 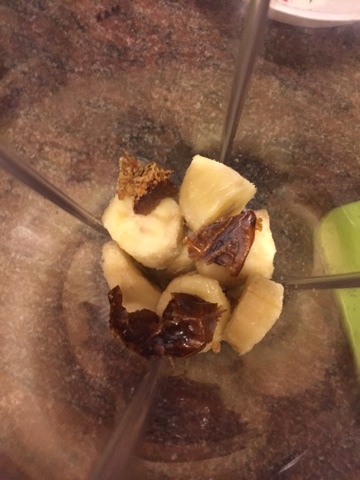 Sixth: Add the rest of the bananas and dates into the blender. Then add more almond milk. 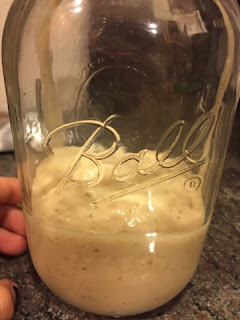 Last: Pour your nicecream into a mason jar or bowl. Enjoy! Have you tried nicecream? Leave a comment telling me if you have or if you have tried any vegan food that you think is yummy! I'll definitely have to try this! Sounds great...and so easy!